Rev Dr Jonathan Humphrey, who used to work for the Forestry Commission, said a very clear picture of Chalmers Ardler Church, inside and out and details of its history, came to him in his sleep. He told a friend about his dream who said the building sounded like the Dundee church so he went to visit and to his amazement it turned out it was. Rev Dr Jonathan Humphrey and his wife Kate. Dr Humphrey, who grew up in Sleat and Broadford on Skye, said the church had a minister at the time but when the post became vacant years later he applied. The 52-year-old said: “I am here now at Chalmers Ardler in response to the Lord's direction which came initially through a dream I had seven years ago which was incredible. “The way that God has set things up for the move over these last few months has been simply astounding. “He is true to His Word! This year is the 50th anniversary of Chalmers Church moving from the city centre to the parish of Ardler and St Mary's. During that time there have been only two ministers - Rev Jim Powrie and Rev Kenny Stott, who has moved to Perth North Church. Dr Humphrey, who has a BSc and PhD in forestry from the University of Aberdeen, used to work for the Forestry Commission in Edinburgh as a Research Programme Leader for Biodiversity. He was called to train for the ministry in 2004 and his first full-time charge was Kiltarlity and Kirkhill Church near Inverness where he stayed for three and a half years before moving to Dundee. Married to Kate with whom he has two grown up sons, Dr Humphrey, was inducted into his new post at a service last Thursday. The couple are keen hillwalkers and run marriage ministry worships to help people get the best out of their lives together. 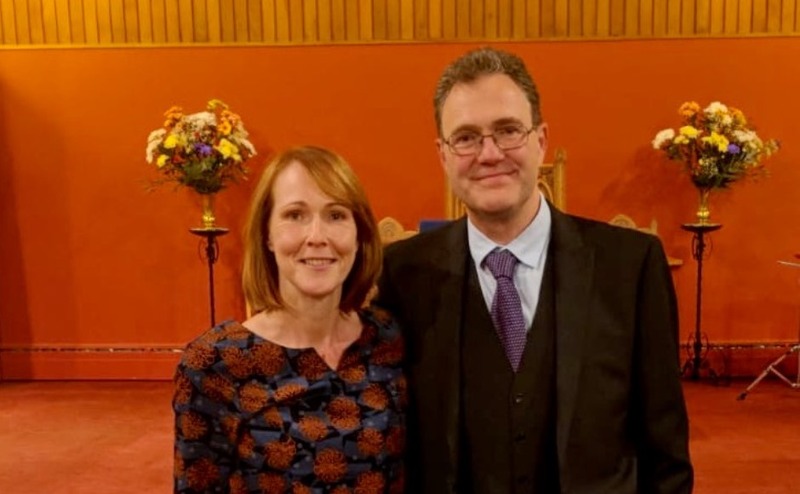 Gail Alexander, Session Clerk of Chalmers Ardler Church, said the congregation is “looking forward with excitement” to working with Dr Humphrey and his wife in the service of God in the community. Chalmers Ardler Church has been twinned with Kayole Parish Churches in Nairobi, Kenya since 2010. Delegations from both congregations have visited each other over the years. Chalmers Ardler Church members have paid for equipment for a primary school and medical centre run by the Presbyterian Church of East Africa.